An archaeological project is trying to find the tomb of King Henry I (1068-1135), son of William the Conqueror. Radar technology has found some intriguing evidence at Reading Abbey Quarter which was a monastery that was destroyed during Henry VIII's reign. 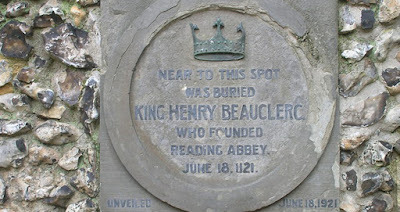 It is known that King Henry was buried at this monastery in January 1136 after his death in Normandy. The monastery is closed to the public for the dig but is expected to re-open in 2018. It will be very interesting to see what has been found when the results are made public.